Yes! You can milk a sheep! It has been done in the Mediterranean for centuries and very possibly was one of the first animals to be milked in that part of the world. If you have eaten any of the following cheeses (Regularly available in South Africa) French Roquefort, Basque Ossau-Iraty, Greek Feta, Italian Pecorino, Spanish Manchego or Portuguese Serra de Estrela and it had an European Union Protected Designation of Origin (PDO) logo on it, then you have had Sheep’s Cheese! Sheep milk is superior to the milk from goats and cows for the making of cheese. It is naturally homogenized and much richer, containing higher amounts of fat, solids, and protein. For this reason, sheep milk gives a much higher cheese yield than the milk from cows or goats. Yogurt and ice cream are also commonly made from sheep milk. However it is rarely drank. Dairy sheep are a wonderful utility breed that can be used for its Milk, Meat and Wool but with the emphasis on Milk. Management decisions are usually made to maximize milk production which may negatively impact lamb and wool production. At the same time, lamb sales can contribute a significant amount of income. Income from wool are usually negligible in South Africa though. It is categorized as Carpet Wool and unless value is added you are better off making compost with it, using it as a mulch around fruit trees or as a natural insulation material. Our sheep were the very first animals to arrive on Allendale and has played an active role in helping us to clear the brush and weeds. 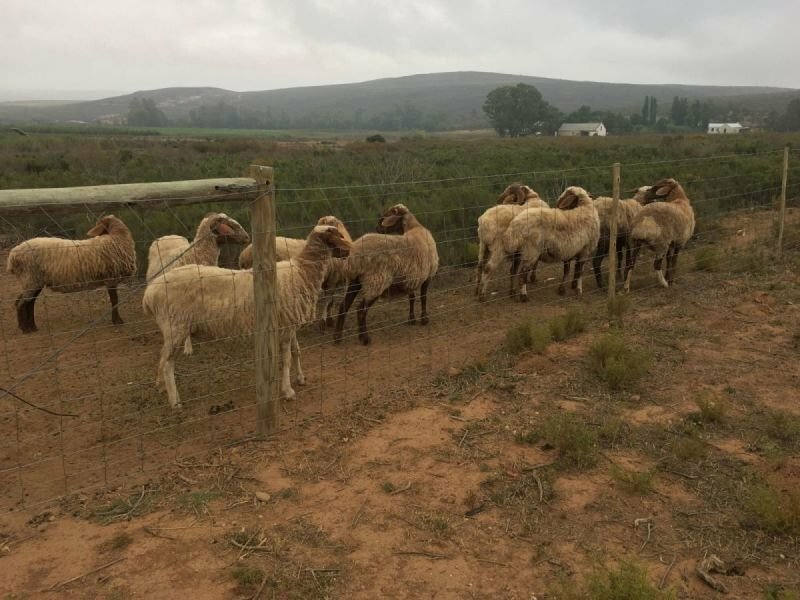 They are currently Awassi Crossbreeds procured from Elmarie van Aswegen from Smithfield in the Freestate, our long term goal being to upgrade them to Pure Bred Awassi. The Awassi is a fat-tailed sheep that originated in the Middle East and is one of the heaviest milk producing sheep in the world, second only to the East Friesian. It is also a hardy breed, having evolved under arid and nomadic conditions, therefore ideal for our climate.